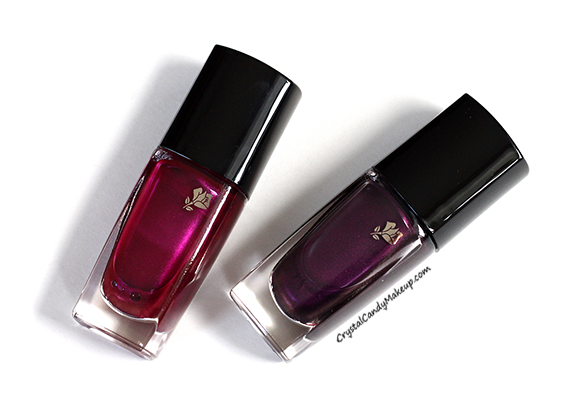 I think I'll start wearing nail polish more often after testing these 2 new Lancôme Vernis In Love nail lacquers from the French Idole Collection! 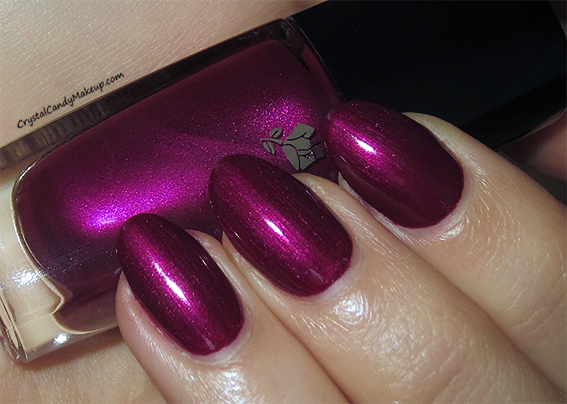 They are gorgeous, you need to see these swatches!! Both shades have a pearly, slightly metallic finish. 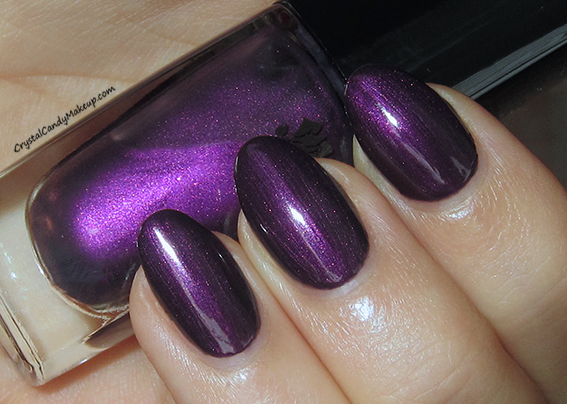 387 Améthyste Brune is sheer so I needed 3 coats, but trust me it's totally worth it! 439 Topaze Rose needed 2 coats, but I did 3 because I prefer it like that (it looks a bit more rich and shiny with a third coat). I'm wearing 439 Topaze Rose since last friday (4 days ago) and it hasn't chipped yet, just some minimal tip wear but it's barely noticeable. That's without a base and a top coat (I was too lazy to apply them lol). Considering the fact that nail polishes usually start to chip after 2 days on me, sometimes earlier than that, color me impressed! Topaze Rose looks very different depending of the lighting, under direct sun light it gets much more magenta, while under artificial lighting at night it looks like a rich and dark red. Oh by the way, I'm trying a new nail shape. Not sure if I like the almond nail shape, what do you think? I wish 387 Améthyste Brune was more opaque, but I was surprised by the quality of this nail polish and the colors are simply stunning! 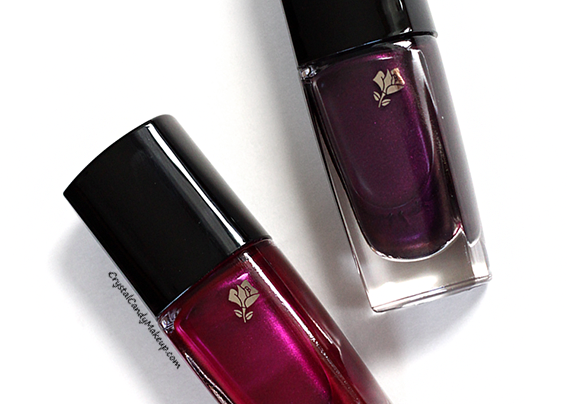 The Lancôme Vernis In Love retail for $18 CDN for 6ml. Très jolie couleurs. j'adore ! Ça sent l'automne en tout cas! !